We are excited to participate in the Virginia Oyster Shell Recycling Program’s Shell-Raisers Shindig. We are donating product for Chef Walter Bundy of Shagbark to make Autumn Olive Farms Pork with Hog Island Clam Pozole Verde with Anson Mills Heirloom Hominy and Chef Caleb Shriver of Dutch and Company to make Bratwurst with Autumn Olive Farms pork, apple butter mustard and kraut. Check out this page for the stellar line up of chefs and full menu as well as oyster and beverage providers. Details from the Facebook event page. What: Presented by Lunch and Supper and the Red Shoe Crew, Big Pig is a family and dog friendly BBQ block party featuring hand-painted concrete garden pigs, RVA bands, The Brunch Market vendors, raffle items, beer and wine, kids craft area and much much more…! Where: 1215 Summit Avenue & W. Marshall Street in Scott’s Addition (in front of Lunch. | Supper! and utilizing their event spaces). How: Entry is free, however, we ask that attendees consider a $5 suggested donation. Interested in sponsoring the event this year? Check out our Sponsorship Opportunities, and contact Tunstall Willis, Special Events Manager. Why: To raise money for RMHC Richmond, a home away from home for families with children in the hospital and an organization that provides food, activities and in-hospital support for families in pediatric and neonatal units — and to have fun! Join us on March 24 at Rapture in Charlottesville for a beer dinner featuring Autumn Olive Farms and Three Notch'd brewery. Chef Jeremy Coleman will have a 5 course menu, each paired with a different Three Notch'd beer. Pairing dinners are always fun and this brewery is a local favorite among many of us here at the farm. It is a ticketed event and the link is available below. Hi Friends! The infamous 6th Annual Ledbury Hunt/Gather is next Saturday and it's going to be the best one EVER. We will have a pig roast by Autumn Olive Farms, charcuterie spread from JM Stock Provisions - Richmond, small plates by the Gold Cart crew, a bourbon and moonshine bar with Ironclad Distillery Co. and Belle Isle Moonshine, an OYSTER BAR, and endless Virginia wine and cider. PLUS, fly-fishing demos and ARCHERY with Virginia Wildlife. All for only $60!! I would love to see some friendly faces there! Guys! Don't miss out on this! A $60 ticket gets you endless food and drink, including an Autumn Olive Farms pig roast, Gold Cart small plates, a charcuterie spread from JM Stock Provisions - Richmond, bourbon and moonshine cocktail bar Belle Isle Moonshine, Virginia Wine and Cider bar, raw oysters, Hardywood Park Craft Brewery beer, live music, fly-fishing demos and archery (attn: Erik), AND MORE! There are only a few tickets left! Cochon555 is back in Washington DC on its national tour of promoting heritage pork. This year we are supplying 2 hogs to 2 Michelin Star restaurants! A Berkabaw for Chef Jon Sybert of The Tail up Goat and a Patterson's Registered Berkshire for Chef BJ Lieberman of Roses Luxury. The event takes place Aug 6 from 4:00-7:30 at the Watergate Hotel. Discount Tickets and info below. 20% Off Discount Code: "Industry"
Click on the video to watch the trailer! For The Crop Foundation’s first pop-up in Hampton Roads, Toast will be transformed into an immersive culinary and fine art experience exploring each of the elements - earth, air, fire and water through fresh, farm-to table ingredients, specialty cocktails, local brews and free-range art. All created by High School Students! 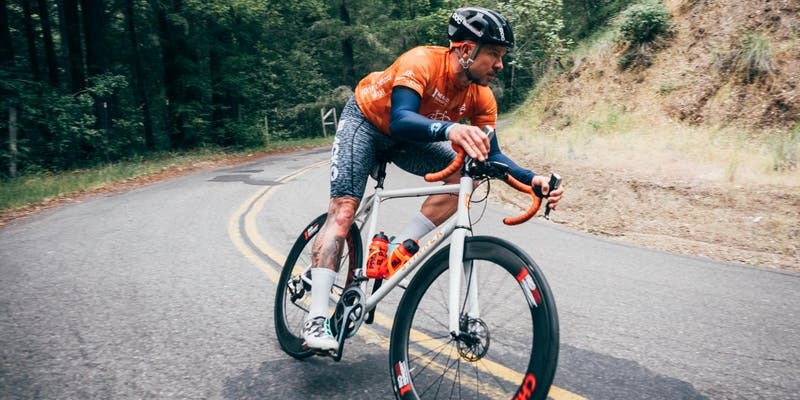 Elementum is a collaboration between Dave Hausman and John Porter’s Restaurants (Toast, Field Guide and Handsome Biscuit) and Kip Poole’s The Crop Foundation, a non-profit providing grants and employment opportunities for high-school students. Tickets for the May 4th dinner are $45 per person and include multiple courses and food tastings and one drink ticket. For an additional $22, guests can purchase a $67 VIP ticket and enjoy an open bar for the evening. Parties of 6 or more receive 15% off tickets. Toast is located at 2406 Colonial Ave, Norfolk, Virginia. April 22 from 4-10 pm. Autumn Olive Farms Pig Roast, live music w/ Sam "Muleman" Miller, Blue Mountain Brewery Tap Takeover, Local, Organic & Sustainable Menu. 15% of Food Sales donated to UVA Sustainability. Swag Bags to first 25 reservations! Book now 434-995-5277. The Big Pig Project is this spring's premier block party in Scott's Addition. Co-hosted by Lunch & Supper and the Richmond Ronald McDonald House Charities, it's a BBQ festival of delicious food, country music and community at Lunch & Supper on Summit Avenue. 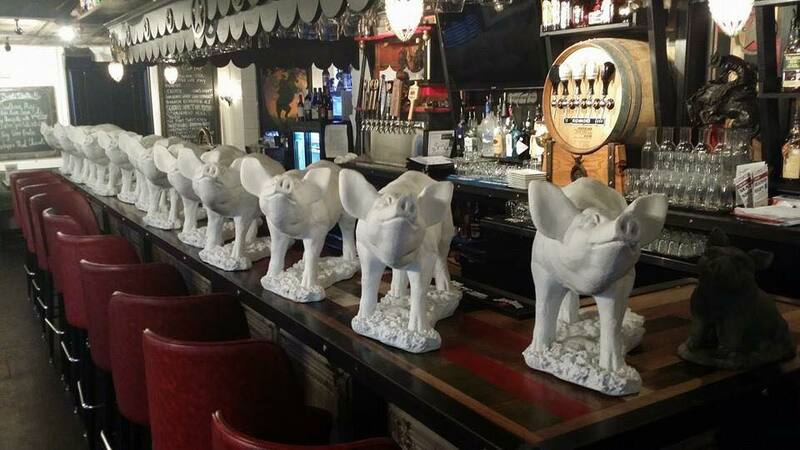 The day will culminate with a live auction of custom hand-painted concrete pigs to benefit the Ronald McDonald House. There will also be a live butcher breakdown of an AOF Pig that will be auctioned off with the money going to the fundraiser! "Belmont Butchery's owner, Tanya Cauthen will entertain with a pig cutting demonstration and mini-auction of the pig part's at this year's SMOKED event. In this action packed demo and mini live auction, Tanya Cauthen of Belmont Butchery will break down an Autumn Olive Farms pig in to retail cuts - for your 'purchasing' pleasure. 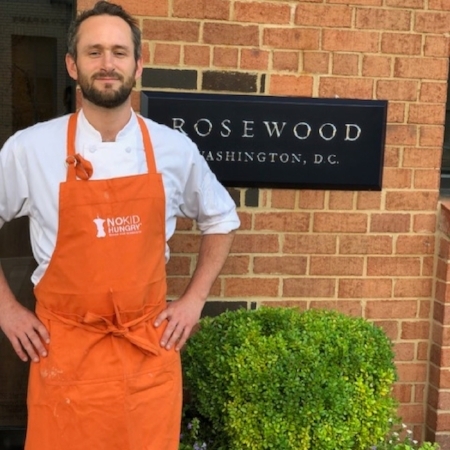 Proceeds of the auctioned pig parts will benefit Richmond Performing Arts Alliance, and Belmont Butchery will offer a 'meat valet' to keep your cuts of pork nice and cold while you continue to enjoy the event." We are proud to return as a sponsor for the four-day culinary gathering known as the Fire, Flour & Fork Festival. This year, the extended weekend of events will kick off with a field trip from Richmond to our award-winning Autumn Olive Farms. Along the journey, guests will learn about the historic connection of Virginia's capital to the Shenandoah Valley via trade routes and the flow of food from Virginia's own "bread basket." As you board the bus in Richmond, be sure to grab a window seat to enjoy the beautiful late fall foliage while crossing Afton Mountain and entering the Valley. Upon arrival to the farm, guests will enjoy a swanky white-tablecloth-and-china outdoor lunch while seated at the foothills of the Blue Ridge Mountains and Shenandoah National Park. Prepared by renowned Chefs Ian Boden (The Shack) and Joe Sparatta (Heritage and Southbound), the menu - to be announced soon - will highlight ingredients grown here on the farm, allowing you to really experience the taste and terroir of Autumn Olive Farms. If you haven't yet dined at Chef Sparatta's or Boden's restaurants, this is a great opportunity to experience the cuisine of these talented chefs in an intimate setting. This is farm-to-table at its finest! Accompanying the meal will be ciders from Virginia's first urban cidery, Blue Bee Cider. Based in Richmond, Blue Bee specializes in wine-style, semi-dry and semi-sparkling ciders from heirloom Virginia apples. The lunch will feature two ciders and one apple brandy made from apples grown in the Shenandoah Valley. Blue Bee's Cider Storyteller Nicole Martorana, raised in the Valley, will be present to take guests through the tasting and talk about the history of cidermaking in Virginia. Dress for a walk around the farm to observe the variety of heritage breed hogs we raise, including Ossabaw Island hogs, Berkshires, and the cross between them we call Berkabaw. Along the way, you will meet an array of our other animals ranging from Great Pyrenees livestock guardian dogs, Boer Bok goats, and chickens. Clay and Linda will offer some history of the farm and talk about why and how we farm the way we do, and how our approach results in products sought after by award-winning chefs. With the goal of providing a personalized, hands-on experience, this event is limited to 39 tickets, so be sure to reserve yours soon! Tickets are $100 each and include travel, tour, lunch and cider tasting. Departure time from Richmond is scheduled for 9:00 am, with the bus scheduled to return at 3:00 pm. We are honored to be on the menu for the 8th Annual Vintner of the Year Dinner at Zoes in Va Beach. Executive Chef Jesse Wykle of Zoes will be accompanied by guest Chef Vivian Howard who you will recognize from hosting the tv series A Chef's Life. The dinner will be limited to about 50 guests and tickets will be $1,250 per person. The annual Vintner of the year dinner honors vintners and wineries that have made significant contributions to the wine industry and celebrates chefs with local, regional, and national acclaim. About 50 guests will enjoy superbly paired wines and food. Tickets will be $1,250 per person. Charlottesville's premiere whole animal butcher shop is hosting their 3rd annual "Meat Your Makers" on Sunday from 12-4. This annual event allows customers to meet the farmers and suppliers who work behind the scenes of this award winning butcher shop. Everything just taste better at JM Stock and now you get to ask those chosen farmers how and why. There will be cheese, charcuterie, and beer tastings throughout the afternoon. This is a real butcher that uses real farms so come out and support your local shop! JM Stock's Richmond location Stock RVA will also be hosting the 3rd annual "Meat Your Makers" on Saturday** from 12-4. This is JM Stock's 2nd award winning butcher shop and while it utilizes many of the same farmers, there are also some exclusive local RVA suppliers and products to check out. There will be cheese, charcuterie, and beer tastings throughout the afternoon. This is a real butcher that uses real farms so come out and support your local shop! While you are there you can ask about the upcoming Pig Butchery Class on November 6th and get to get your hands on one of our AOF Pigs! Join us for a classic Southern Pig Pickin' at Devil's Backbone basecamp on the eve before the annual Hoopla Festival weekend. Tickets for Thursday's Pig Pickin' are $17 and a great start to the Hoopla Festival for anyone arriving early to camp or just want to come out for a smoked AOF pork and some craft beer. Additional info and links below. For Belmont Butchery’s 10th anniversary, proprietor Tanya Cauthen is throwing one heck of a celebration! Partnering with Preservation Virginia, Patrick Henry’s home, Scotchtown, will play host as well as beneficiary for this event. Chefs from Richmond’s finest restaurants will be on-site, cooking farm-raised poultry, lambs, pigs and more over open flames. Virginia-made libations, crafted by local bartenders, will flow while live music fills the air. Ticket includes: unlimited beer from Center of the Universe Brewing, local cider, wine from Michael Shaps Wineworks, cocktails crafted by local bartenders, multiple courses from local farms cooked on an open fire by local chefs and local oysters on the half shell. *Some tables available but bringing your own picnic blanket and chairs is suggested. You can reserve a round table for 8 with chairs by purchasing a table ticket below or inquiring with Belmont Butchery or Preservation Virginia. Entertainment by Honky Tonk Experience. Event coordination by Millie and Company. Join us Sunday, September 11 for a locally sourced Farm Feast at Blenheim Vineyards historic farm, overlooking rolling hills and vineyards in support of Local Food Hub and Farm Aid. The evening begins with live music by Small Town Rodeo, passed canapes, a teepee “cocktail” lounge, and the opportunity to learn more about local food and farming, while watching dinner cook on the smoker from Autumn Olive Farms. Followed by a family-style communal feast centered around seasonal, local bounty, prepared by highly acclaimed Chefs Lee Gregory of The Roosevelt and Southbound, and Joe Sparatta of Heritage and Southbound in Richmond, Virginia. Dinner will be served with Blenheim wines. Details: Farm to Feast Dinner at Blenheim Vineyards on Sunday, September 11 beginning at 5 p.m. Cost is $125 per person with proceeds supporting Local Food Hub and Farm Aid. Farm Aid concert tickets and VIP packages available HERE. Autumn Olive Farms has been nominated again this year for the Purveyor of the Year Elby Award in Richmond, Va. It was an honor to have won the award last year and we are hoping to do the same this year. Richmond's food scene is recognized nationally and the nominee lineups in every category are quite impressive. The Elby Awards are at the beautiful Virginia Museum of Fine Arts once again this year. We will see you there! It is time again for the greatest pork feast on earth...Chef Craig Hartman's 6th Annual Porkapolooza at BBQ Exchange! We will be providing 12 whole hogs that will be smoked and prepared onsite over the weekend in more dishes than you can count. It is an all you can eat party with great food, people, live music, and whole hog smokers filling the air. We look forward to being a part of this epic feast every year and hope to see you there! Details and event tickets are available below. Check out the news story from last year here. Autumn Olive Farms is proud to Sponsor Fire Flour Fork this year in Richmond Virginia! FFF is a vastly diverse festival that lasts over 5 days incorporating everything food. There will be classes, competitions, tours, tastings and much more from renowned Chefs, Purveyors, Mixologists, and Educators from all over the country. Saturday Morning we will have a whole hog featured in the butcher breakdown presentation performed by Belmont Butchery owner Tanya Cauthen. Later that night the hog will be used for a private after party event for participating chefs in Fire Flour Fork. We will be a part of the Terra Vita Food & Drink Festival in Chapel Hill NC this year. Chef/Owner Joe Sparatta of Heritage Restaurant in Richmond Va will featuring our pork in the Hill Fire Dinner on Friday. Clay will also be speaking at the Sustainability Class: "Me, Myself & Ribeye: Exploring Underutilized Meat Cuts" to talk about how we and our customers use the less recognizable cuts of meat to utilize the entire animal. Cochon Heritage BBQ in D.C. It is time again for Cochon Heritage BBQ in Washington D.C. and this year the party will be at Union Market's Dock 5 event space. If you have been to any Cochon event with us in the past then you know you are in for an incredible amount of delicious food created by some of the city's biggest culinary stars. We have one of our Ossabaw Island Hogs in the competition with Chef Sam Molavi of Compass Rose Bar and Kitchen. Here is the info and make sure you click the link at the bottom for discounted tickets!! One of the country's most fun culinary competitions in North America is being held in Washington D.C. on Sunday, October 4th! Cochon555’s Heritage BBQ is a friendly competition between five hyper-local chefs who each prepare one family-farm-raised heritage pig with global influences. Each chef produces six dishes that celebrate global traditions, old-world cooking techniques and nose-to-tail awesomeness. Guests get to sample the Judge’s Plate, drink quite well, and help us cheer on the chef who hopes to be crowned the BBQ King of Washington D.C.
We wanted to extend you a special discount to save $20 on GA and a $35 on VIP tickets to one of the best culinary events ever! Here's your chance - Save up to $35 a ticket with our special discount by visiting the link below. Guests enjoy various interpretations on global grilling cultures like Korean BBQ, Japanese Hibachi, Churrasco, Mexican Barbacoa, Kansas City BBQ and Char Siu. The competing chefs include Nicholas Stefanelli of Masseria, Will Morris of Vermillion, Jose Adorno of Graffiato, Sam Molavi of Compass Rose, and RJ Cooper of Rogue 24 returns to the competition after being the first chef to win Cochon555 in Washington DC in 2009. Additional chefs include Erik Bruner-Yang of Maketto, Scott Drewno of The Source by Wolfgang Puck, Zack Mills of Wit & Wisdom, Kyle Bailey of Birch & Bailey, Louis Goral of Rural Society Argentine Steakhouse and Craig Hartman of The Barbeque Exchange. The all-inclusive event includes samples and pours from well-known winemakers, distillers, barkeeps and food artisans, there are ample amounts of exciting dishes paired with drinks. It all starts with buying a ticket and showing up to Dock 5 @ Union Market for an epic party from 4-8 p.m.
Indulge in our Pop-up Pie Shop presented by Whisked!